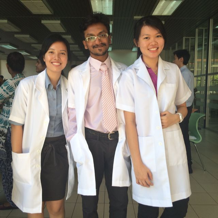 Spent almost three weeks in Singapore and both bro and sis-in-law afraid that i am bored at home. 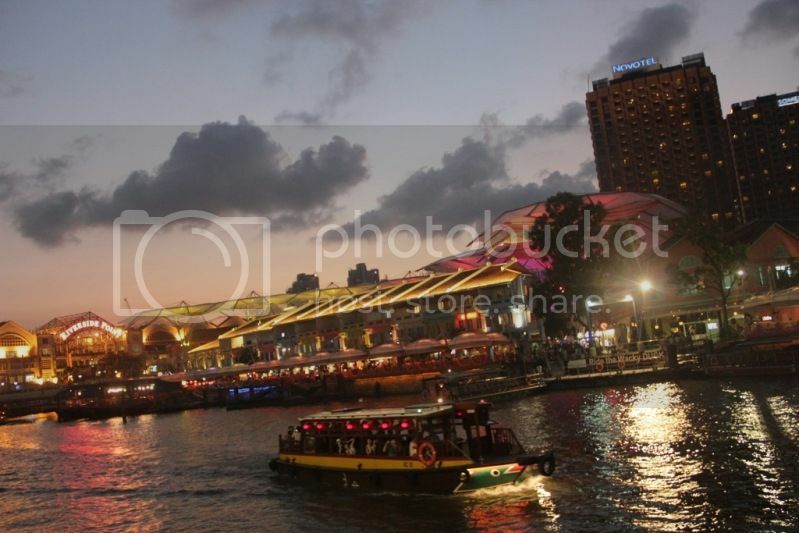 So they decided to bring me out to have scrumptious dinner at Clarke Quay on Friday night. 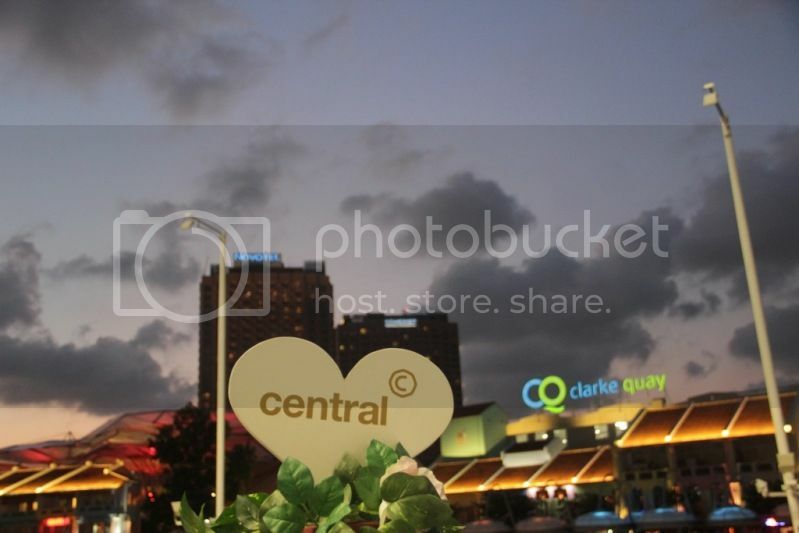 Look at the beautiful sky before it turned dark! 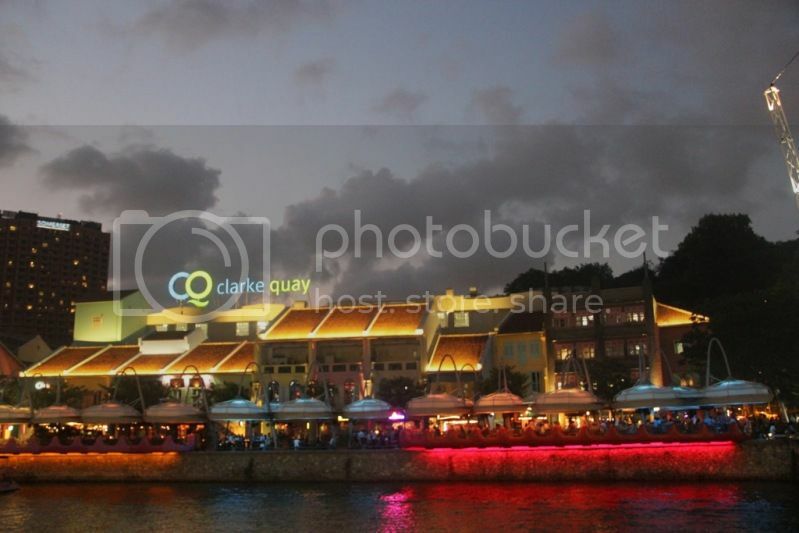 We strolled along Clarke Quay before dinner since I had not been there for quite some time. 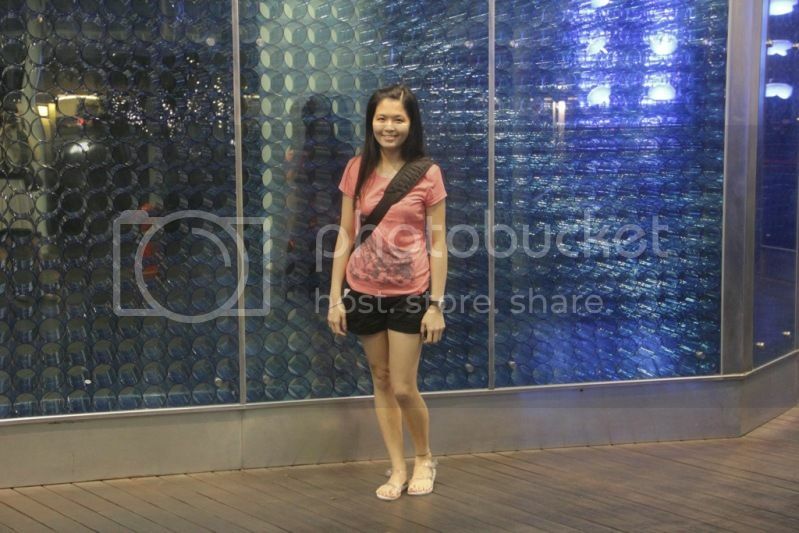 Took number of photos and sorry for the simple outfit I wore that night. Took a nap in the afternoon and I was running late. 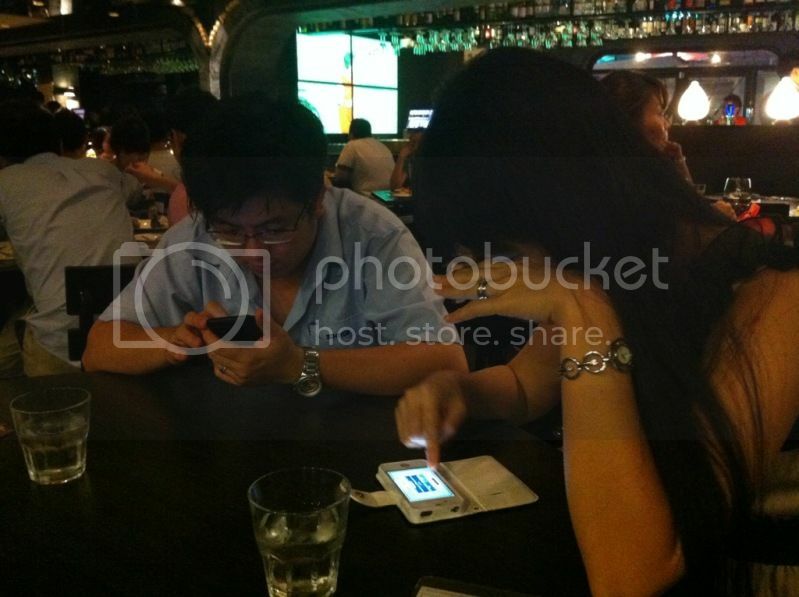 I rushed to meet up with my bro and sis-in-law at Dhoby Ghaut station and took a train to Clarke Quay together. That explains why I wore a tee shirt and a short for dinner. 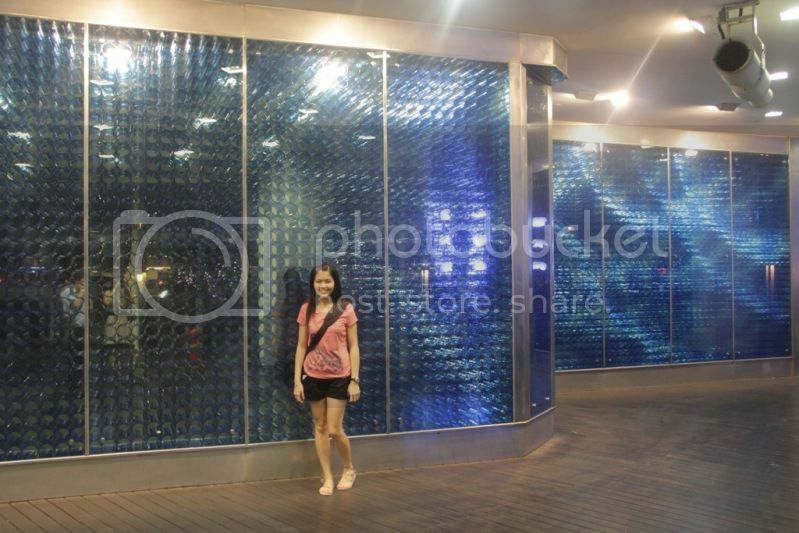 Yours truly with the beautiful glass walls of a building near Central, Clarke Quay. 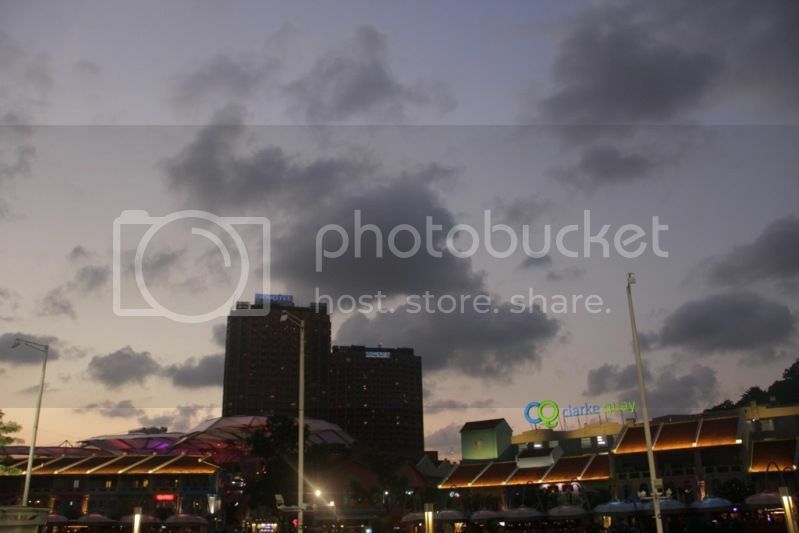 #3 Night view of Clarke Quay. 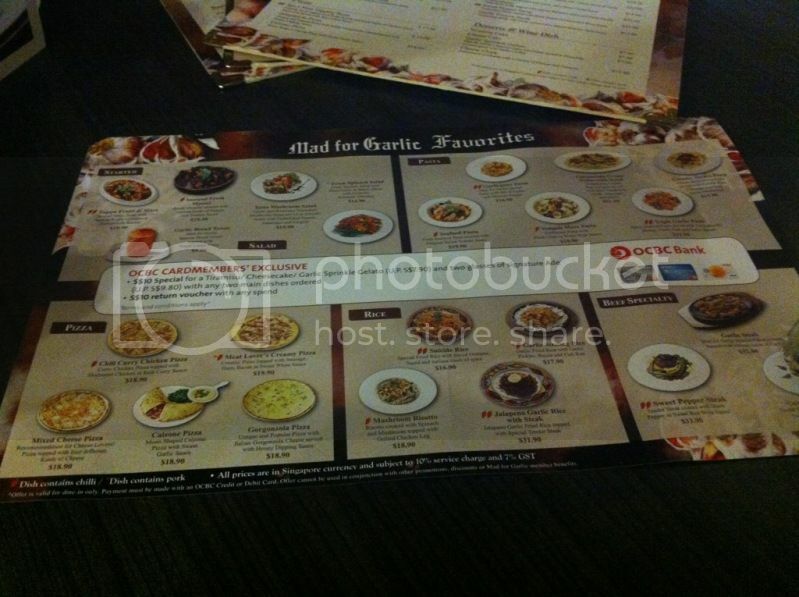 They suggested to have dinner at Mad for Garlic which is located at Rivervalley road (opposite of the Central shopping mall). Boy was I excited and since it was my sis-in-law's birthday month, so she was eligible to get a pizza for free at Mad for Garlic since she owns the loyalty card of the restaurant. 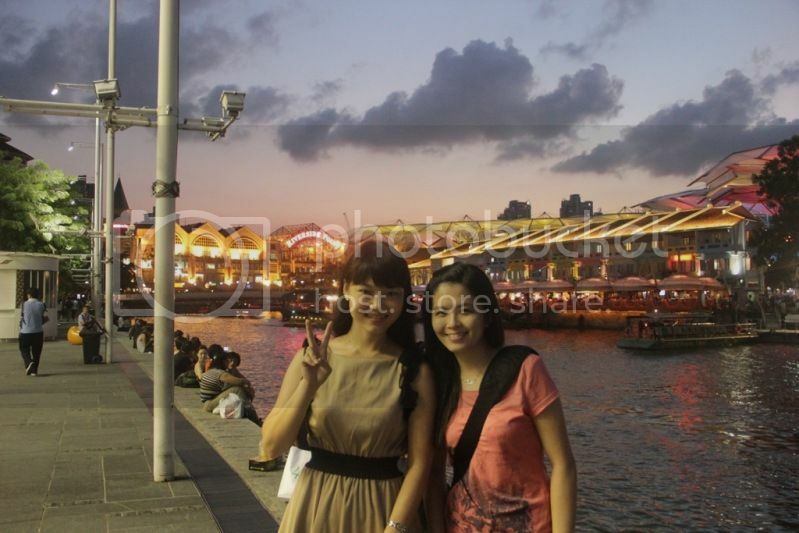 The location is strategic and it takes about 5 to 10 minutes of walking distance from Clarke Quay MRT Station to here. 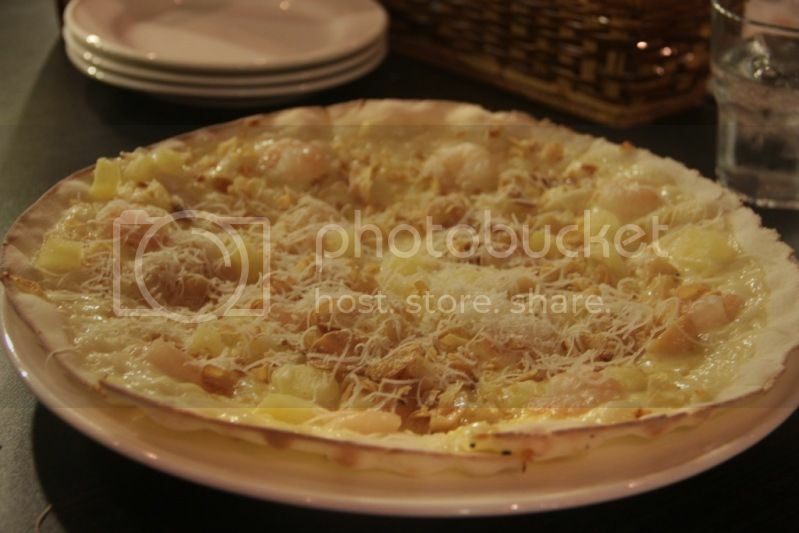 The Original Wine & Garlic restaurant, Mad For Garlic" offers more than 50 kinds of Italian dishes with a variety of wines and beverages. 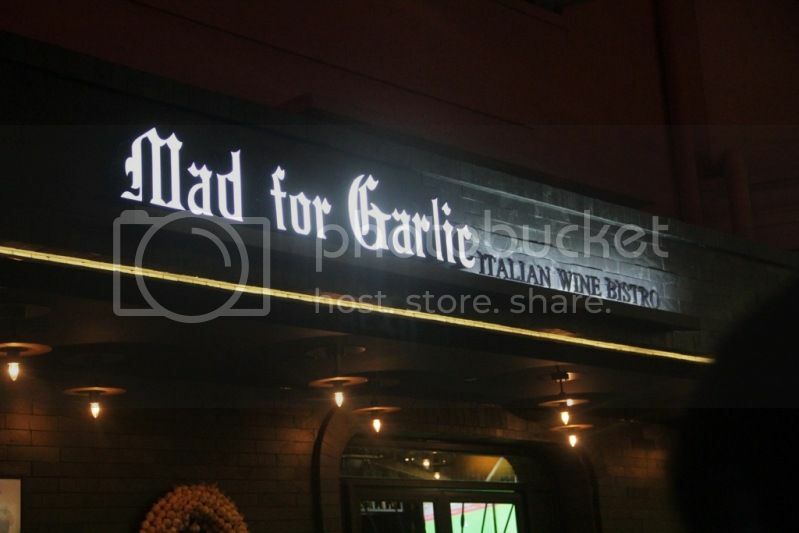 Originated in Korea in 2001, Mad For Garlic is one of Korea's most popular restaurant chains known for its unique and innovative menu with garlic-specialized Italian cuisine served in an atmosphere of medieval European rustic tavern. Garlic deco hanging on the wall. 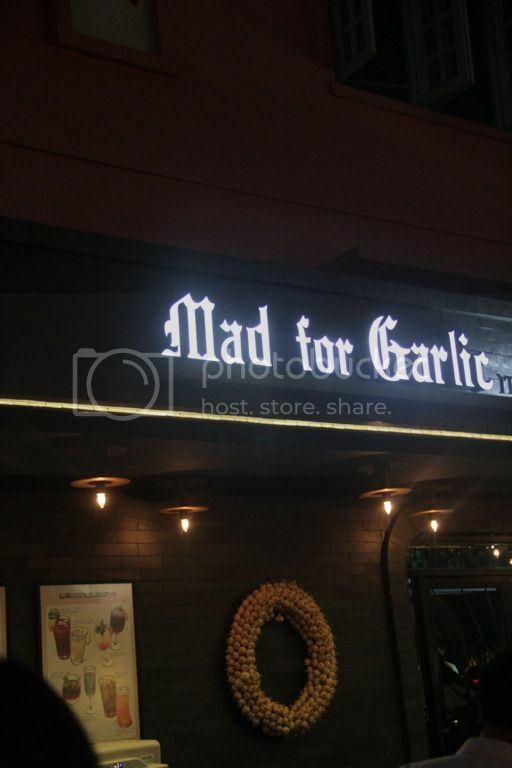 With unique signature dishes that gained a cult following in Korea such as Dracula Killer, Garlic Snowing Pizza, Garlicpeno Pasta, Mushroom Risotto and Garlic Steak, Mad For Garlic was launched in Singapore to offer a truly unique "Garlic-licious" dining experience that is different from other restaurants. 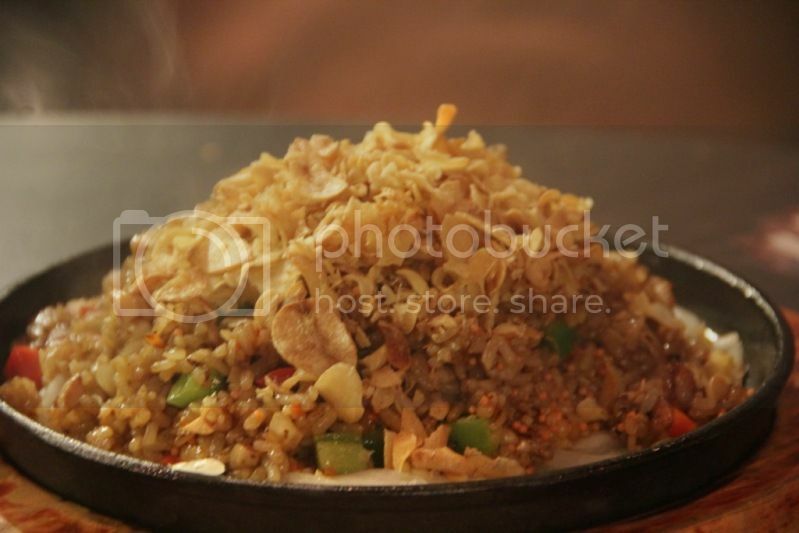 There are currently 20 Mad for Garlic restaurants in Korea, one in Singapore and one is Jakarta. 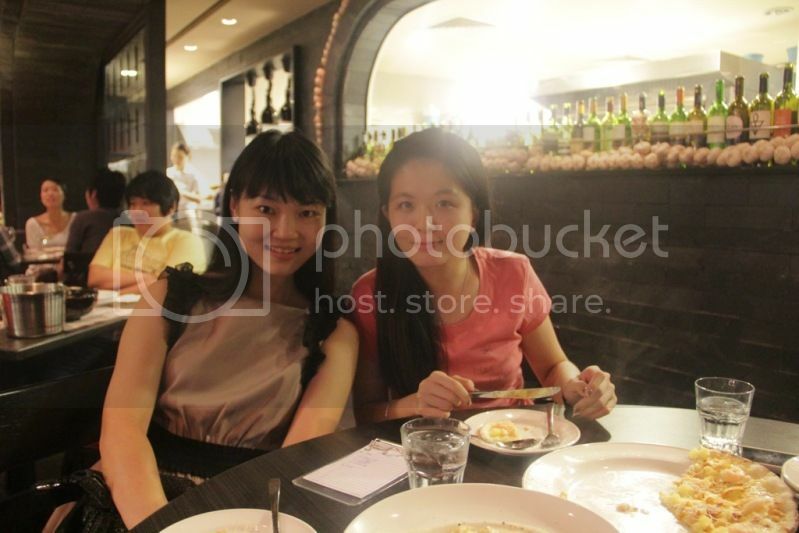 Here are the food that we ordered on that night. 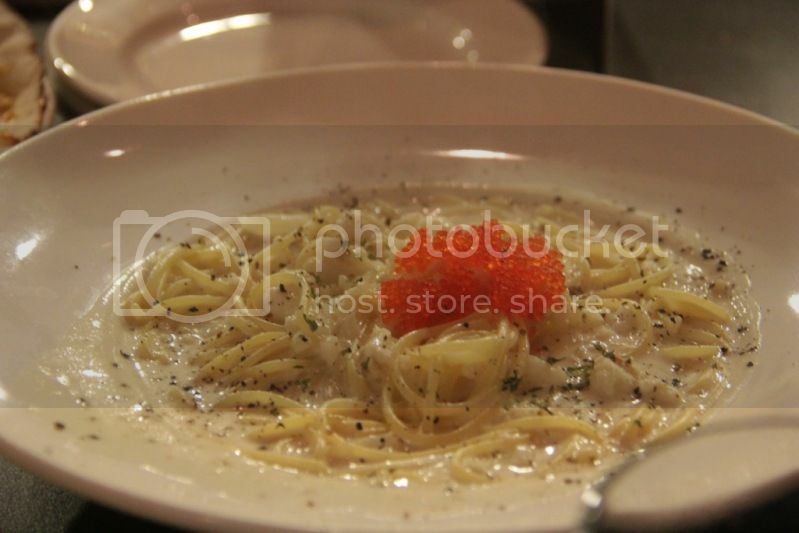 The photos were taken using Canon DSLR. 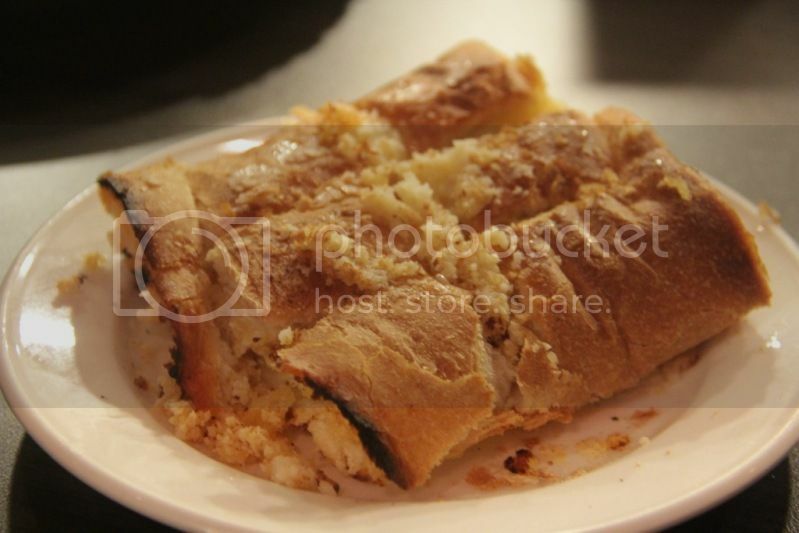 Each of the food that were served contain garlic. I might not a big fan of garlic but it is still bearable as Mad for Garlic's creative preparation method of removing the garlic's pungent smell and unique way of cooking Italian cuisine with a Korean twist have won the hearts of both garlic and non-garlic lovers both in Korea and Singapore. Opening Hours: 11.30 am to 1.00 am. 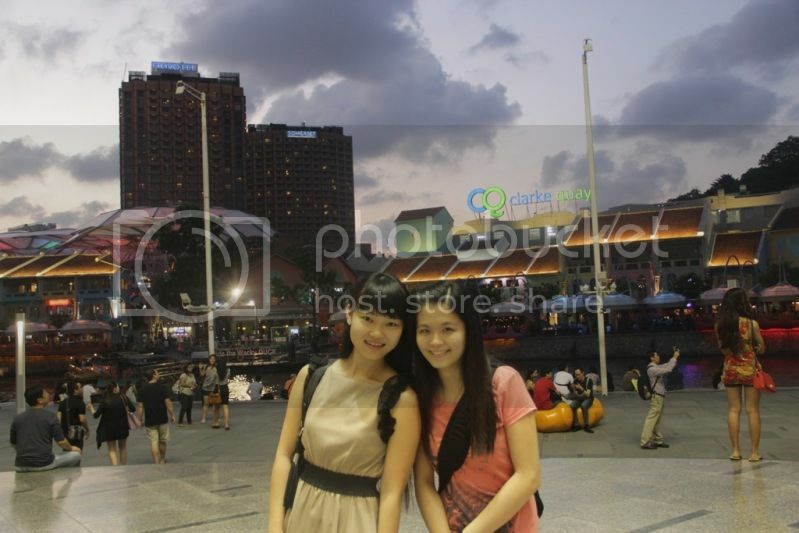 P/s: All the photos above are unedited and taken using Canon DSLR. It's Hari Raya this weekend! Wishing all my Muslim friends and readers, "Selamat Hari Raya!" degree that many women consider whether luxury handbags m Reached want.